“Set out for the Calvert Circuit – preached on the way to West River… After dinner, I retired and sat down on a log beside the water and had sweet communion with God.” Circuit Rider Frances Asbury wrote these words in his journal June 3, 1782 during his only recorded visit to the West River area. Surely he felt God’s presence on the shores of this river as we do some 230 years later. Over the years, the site we now know as West River United Methodist Center served as farmland and a YWCA campsite. In the summer of 1951, the property was offered for sale. After many meetings and visits to the site, a group of lay and clergy from the Washington East District led by Rev. Thomas Ehlers negotiated a purchase price of $60,000. 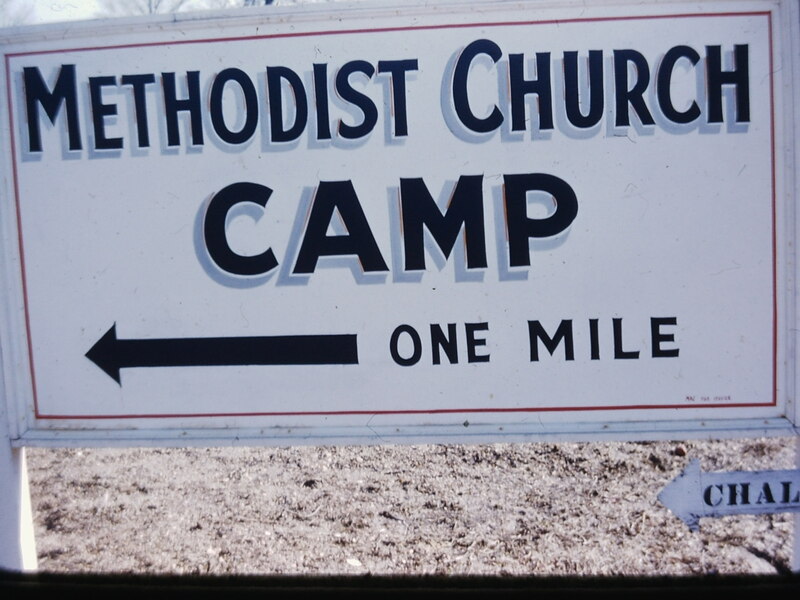 In early December of 1951, YWCA Kamp Kalhert became the Methodist Church Camp. Many volunteers worked diligently through the winter and spring to prepare the site for the first summer programs in 1952. 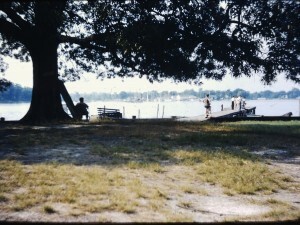 With repairs to the existing cabins and buildings, and a swimming area created in the West River – complete with netting to keep out the jelly fish, the site was ready for church picnics, Sunday worship, and summer camp. Over the next few years, additional improvements including a modern bathhouse (the “White House”), and a new dining hall set the stage for growth. With a strong foundation in place since 1952, the Conference Board of Education assumed responsibility of the program at the Methodist Church Camp in 1958. During this time of a more coordinated effort, Methodist Church Camp became West River Camp and joined Manidokan to serve all the members and churches of the Baltimore Annual Conference. The programs continued through the 60’s and grew with the addition of a modern swimming pool in 1967 A low point loomed however, as enrollment fell to the point that the camp was closed for the summer of 1969. But with the dawn of the 1970’s came a resurgence at West River Camp. In 1971 the pool was opened to the community for swimming lessons. The Community Learn To Swim program has served children and youth of the community since that time. In 1972, the estate from local businessman William Thomas provided funds for the purchase of three Rainbow 24’ sailing sloops for the new summer sailing program. Estate funds were also used for improvements to the dining hall that enabled West River to host weekend retreats year-round. The dining room was divided creating sleeping areas on both ends with space for eating in between. In the mid 70’s, Anne Arundel County Public Schools began using the site for environmental education programs. These programs brought thousands of students to West River Camp for day and overnight programs until 2003 when budget cuts diminished the program county-wide. But with the increased exposure, growth, and use, comes need. It had been said that our facilities had gone from rustic to run down. A turning point in West River’s history came on the evening of March 20, 1978 in the form of a deliberately set fire. Cabin 14 was completely destroyed in minutes thanks to an arsonist. But, with the insurance settlement as seed money, the current Retreat Center complete with modern kitchen and sleeping for 50 was built and opened in 1981. West River Camp was poised to serve as a bona fide year-round retreat center, and changed its name again to West River United Methodist Center to reflect the addition of retreats to the established summer camp programs. In the mid-1980s, the Baltimore Conference “Time To Grow” capital funds campaign provided funds that paid off the outstanding loan on the Retreat Center and the capital to start construction on the 5 log lodges, Peace, Paz, Amani, Pyoung Wha and Shalom. These provided a total of 210 year round beds. The ministries of both summer camp and retreats began to take off in the late 80s, and the trend continued all the way through the 90s. In addition to program growth, many physical changes occurred throughout the 90’s; a new picnic pavilion (’90), the Nature Center/Infirmary which also served as office space for the County Outdoor Ed program, (’93), Administration building (’94), rip-rap bulkhead (’96), paved road and parking lot (’97). Outdoor programming such as the climbing wall, archery and enlarged ropes course added to the summer activities. But the critical area was the dining hall (built in 1954) that was too small to serve the camp. Planning began for a larger facility but that would not come to fruition until 2009. The first half of the 2000’s saw the largest increase in usage at West River. Summer camp population reached a high of 1147 campers in 2003 and retreats weekends were full. Over 1000’ of shoreline was reclaimed with Living Shorelines through grants from the Chesapeake Bay Trust. The fund raising and planning for the new Dining Center got into full gear. The Ethel C. Rider Dining Center opened in August of 2009, and just a year later, the old dining hall was remodeled, renamed, and dedicated as the Rev. Thomas B. Ehlers Memorial Hall. We are indebted to all those persons whose vision, tenacity, hard work and generous gifts have allowed these grounds to be a place where lies are touched and hearts are changed. A place where folks can gather for fellowship, fun and see their faith grow in the “sweet communion” of God’s grace and love along the shores of the West River.